The role of agriculture cannot be over-emphasised in efforts to curb the greenhouse gas emissions, says the leadership of the Food and Agriculture Organisation (FAO), reports NaijaAgroNet. 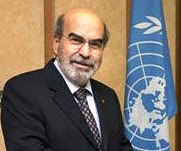 The Director-General, FAO, José Graziano da Silva while presenting the report of the State of Food and Agriculture 2016, said that agriculture, including forestry, fisheries and livestock production, generate around a fifth of the world's greenhouse gas emissions. Agriculture, he said, must both contribute more to combating climate change while bracing to overcome its impacts. "There is no doubt climate change affects food security. What climate change does is to bring back uncertainties from the time we were all hunter gatherers. 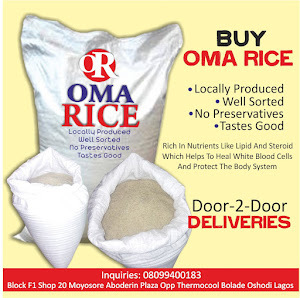 We cannot assure any more that we will have the harvest we have planted," he said. As said by him, the uncertainty also translates into volatile food prices, noting "Everybody is paying for that, not only those suffering from droughts," warning that "business as usual" approach could put millions more people at risk of hunger compared to a future without climate change. Most affected, he said, would be populations in poor areas in sub-Saharan Africa and South and Southeast Asia, especially those who rely on agriculture for their livelihoods. Future food security in many countries will worsen if no action is taken today. He pointed out that overhauling farming and food systems will be complex due to the vast number of stakeholders involved, the multiplicity of farming and food processing systems, and differences in ecosystems. Yet, efforts must begin in earnest now as the adverse impacts of climate change will only worsen with time, the report emphasizes.